Simoonga Thandizani Trust was set up in 2010, with 5 preschool children and 1 teacher. The school has expanded in size over the years and now runs from preschool to grade 7-with an enrollment of 380 pupils. 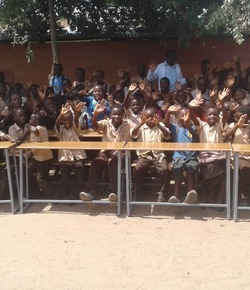 The school provides free education, including lunch from Monday to Friday to all the pupils. The pupils who belong to the school are from Simoonga Village and the surrounding communities. 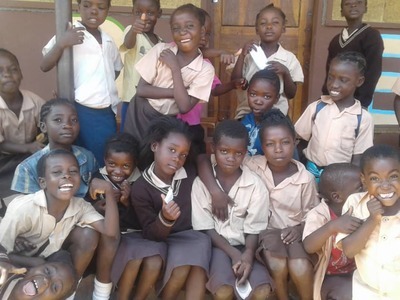 Most of the children who learn at Simoonga Thandizani Trust School come from poor homes, since their parents are either unemployed or if employed, they do not earn enough money to support their families. The school is looking for volunteers who are interested in teaching, environment care, health and nutrition, sports, computer and internet, art (fine and performing). Simoonga Thandizani Trust School is keen on having volunteers with a variety of skills and experiences that they can give and share with the school. Our school is registered with WorkAway, a volunteer organization that has so far sent us 2 groups of volunteers since the beginning of this year. The volunteers are provided with free accommodation and Local/Zambian lunches from Monday to Friday. In addition, we also provide free water and electricity, WI-FI to our visiting volunteers. On weekends, our volunteers get organized tour activities to places such as the Mighty Victoria Falls, Livingstone Museum, National Park, the Local Village to name but a few. We have 16 employers ( 10 teachers, 2 cookers, 2 office workers, 1 housekeeping, 1 Director). When the volunteer stay here we offer one housekeeping (Mônica) to help directly the volunteer (making food with charcoal, do laundry, or just having one good conversation). The school is situated in the community with affable norms , values the unity and give utmost hospitality to it visitors. 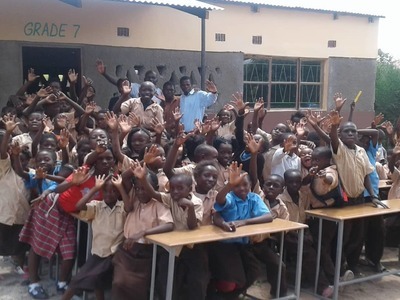 Come help our pupils with English lessons in Livingstone, Zambia!